One of Fratello’s regular readers submitted his Omega Speedmaster Professional MIR edition for our Speedy Tuesday! Only 28 pieces have been made in stainless steel and 7 in gold. This limited edition Speedmaster Professional commemorates the second American-Russian space link-up (the first was the Apollo-Soyuz, which also had its special Speedies to commemorate). The stainless steel version comes with two references, one for the 18 examples with a steel bracelet (ST 345.0022.105) and one for the 10 examples with a leather strap (ST 145.0022.105). The steel version has the Lemania based handwound caliber 861 movement and the gold version has the luxury finished caliber 863. As you can see, this one still has the tritium dial and the steel version comes on the ref.1479 bracelet. This Omega Speedmaster Professional MIR looks no different than the regular Speedmaster Professional, except for the engraving in the back. 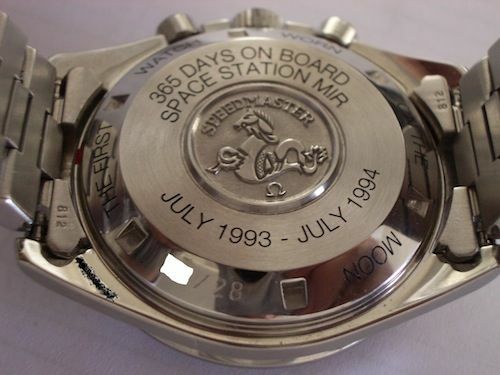 It says “365 Days on board space station MIR July 1993 – July 1994” and has a number engraved on the back. After this test period of a year, it was also used during the actual link-up in 1995 on board of the MIR. 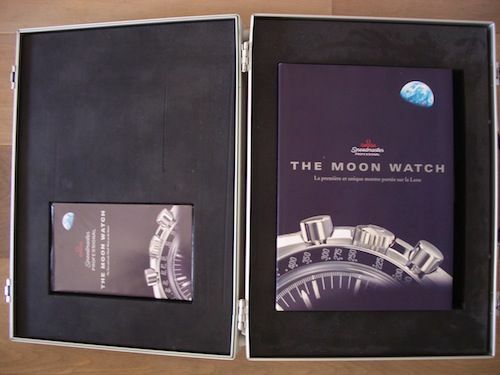 Special packaging was also part of the deal, the MIR came with an aluminum suit case with a Moonwatch book. One of the gold versions (ref. 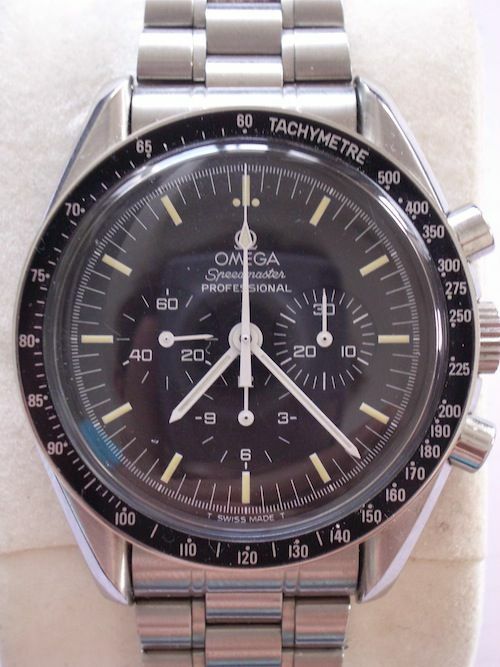 145.0052) was sold during the OmegaMania auction of Antiquorum and fetched 37.760 CHF.